Sales Training Audio Book – CD | Catalyst 5 | Sales Effectiveness, Inc. | SALES EFFECTIVENESS, INC. 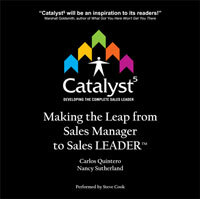 Sales Training Audio Book – CD | Catalyst 5 | Sales Effectiveness, Inc.
Click on the audio player below to hear an interview with the authors, Carlos Quintero and Nancy Sutherland. Making the Leap from Sales Manager to Sales Leader! Are you doing your best to lead your sales team, but often feel you have little direction? Do you believe you have one of the most challenging roles in the sales organization with very few tools to help you? Whether you are a newly-promoted sales manager or a seasoned veteran, this book will provide you with fresh ideas and clear direction to help you evolve from sales manager to complete sales leader. Throughout your career, you’ll refer to it again and again. Develop and implement a compelling vision with your sales team. Deliver tactical results and achieve the highest sales results your team is capable of. Empower your salespeople to become stewards of their own success. Actively recruit and select the right talent to enhance your team. Fully develop your team members’ sales skills through continuous learning. Plus, summaries and checklists to help you track your progress.This book will revolutionize your approach to sales leadership! COST: $19.95 plus shipping and handling. Sales tax added in GA.
Catalyst5 is a fun and easy read, packed with practical insight into becoming a successful sales leader. This little book will be an inspiration to its readers! Quintero and Sutherland have redefined the role of sales leadership for the 21st century. There have been many books written on sales over the years, but none have broken the code on how to make the transition from sales manager to sales leader. This new model of Sales Leadership will transform your sales organization. The genius of Catalyst5 is in the simple presentation of powerful ideas. Carlos and Nancy turn years of research into a realistic, meaningful conversation between a mentor and an emerging sales leader, and we get to listen and learn. If you are in management or want to be in management, whether it’s sales or not, put Catalyst5 at the top of your reading list this year. It will give you a competitive edge. – Scott Mastley, Mastley Performance Group, Inc. This book outlines the keys necessary for succeeding in today’s competitive sales environment. The storyline is both witty and practical providing clear value to those seeking to grow their sales career. 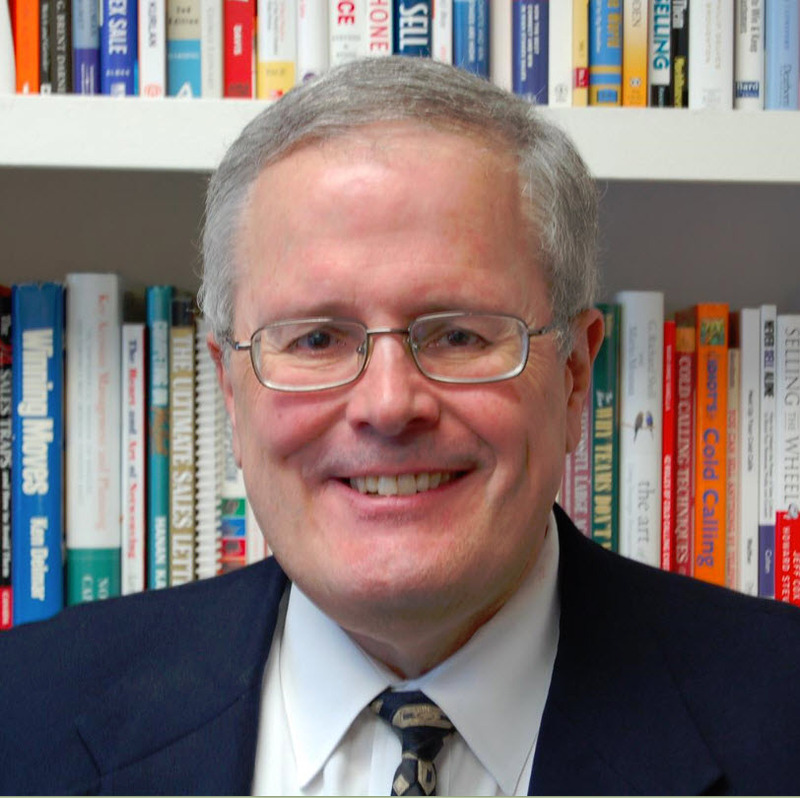 – Gary Markle, Author, CEO, Energage, Inc.
Catalyst5 Making the Leap from Sales Manager to Sales LEADER reminds me of my days as a sales manager. I wish I had this information when I started that job back in the early nineties! I like that it reads like a story, clearly covering the essential elements of sales management. It is a quick read and focuses on the most relevant information. The five roles of the sales manager are brilliant. – Dave Ogden, CEO, AML Communications, Inc.
Carlos Quintero and Nancy Sutherland are sales excellence consulting and performance improvement experts who are passionate about the sales profession and the role sales leadership plays in any company’s success. They continuously study the best practices of top sales leaders and help companies put them into practice. Their clients know them as energetic advisors with a wealth of knowledge and experience in implementing new ideas.